The second round of the 2017 Calder Cup Playoffs got underway on Wednesday night with Grand Rapids’ 4-1 win at Chicago in Game 1 of the Central Division Finals. The Griffins took an early lead just 40 seconds into the game as Martin Frk backhanded home a shot from the left-wing circle for his first goal of the postseason. Grand Rapids then made it 2-0 at 8:07 of the first period when Matthew Ford deflected Frk’s shot past Ville Husso for a power-play goal, his third of the postseason. Chicago got on the board at 9:25 as Kenny Agostino took a pass from Ty Rattie and beat Jared Coreau with a backhand shot for his third goal of the playoffs. After a scoreless second period, the Griffins regained their two-goal lead on Tomas Nosek‘s third goal of the postseason at 3:48 of the third. Ben Street capped the scoring with his first goal of these playoffs and the second postseason goal of his AHL career, into an empty net with 1:51 to play. 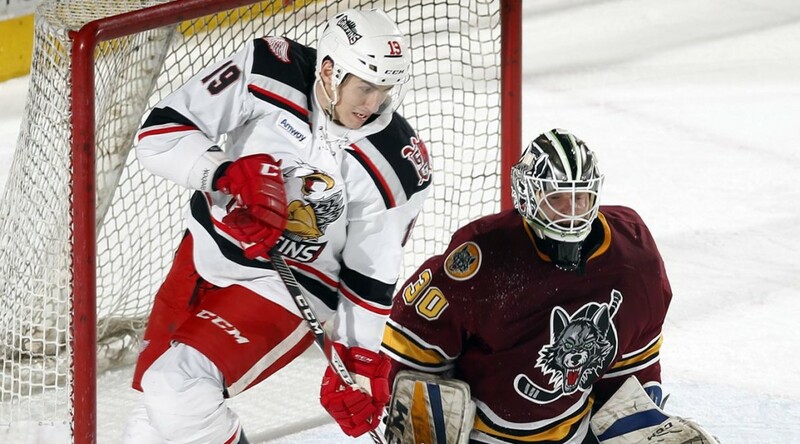 Coreau (4-0) made 27 saves in the win, the Griffins’ ninth in 11 meetings with the Wolves this season. Husso (3-3) stopped 31 of 34 shots in the loss.